Software is eating the world and video is taking over the internet. According to Cisco, video will account for 80% of all internet traffic in 2019. Any savvy marketer or business executive should be incorporating video into their business strategy. Companies in a wide range of industries are using premium video as a means of winning a market, and they’re driving consumer engagement and revenues in the process. To see the seismic shifts in video, look no further than the cable and television industry: Streaming video is the new TV. More and more people are cutting the cable cord and watching instead through online platforms. Direct-to-consumer models have taken over and made it easier than ever for viewers to get the content they want anywhere and on any device. Video is also dominating when it comes to brand engagement and marketing content. One report found that 79% of consumers would rather watch a video than read about a product. PG would be interested in hearing about successful video marketing by indie authors. Feel free to comment/provide links, etc., in the comments. 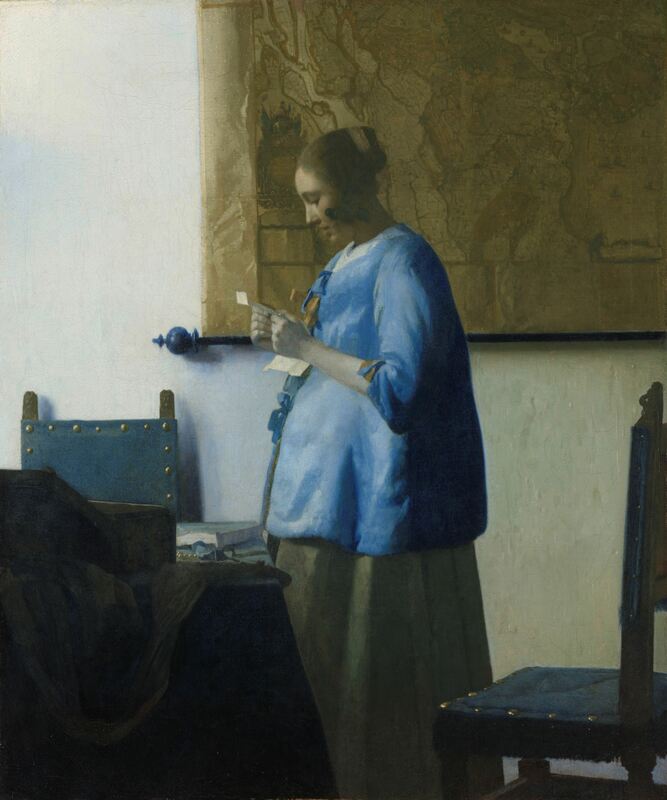 PG was impressed by the attitude manifested by Rijksmuseum, a world-famous art museum in Amsterdam, towards public use of copies of its artwork. Per prior posts on TPV, some museums go to great length to prevent individuals from taking photographs or otherwise using copies of their art (even though copyright protection has long expired) without written consent, which can be very difficult/impossible for an average person to obtain. In a section of its website called Rijks Studio, the museum provides downloadable high-resolution images of artwork in its collection. 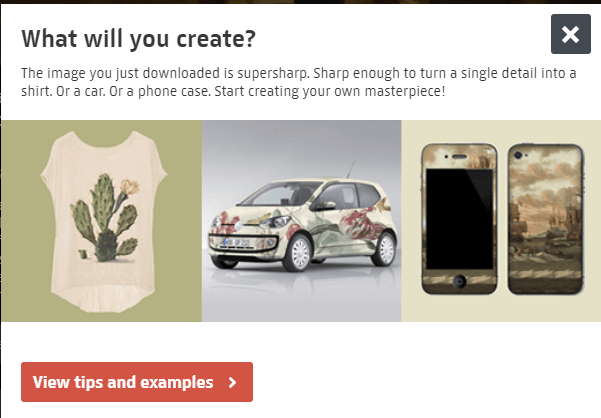 You can create your own collection of famous paintings online. The museum also encourages you to download their artworks and use them to make your own creations. You can even sell your creations to the public. 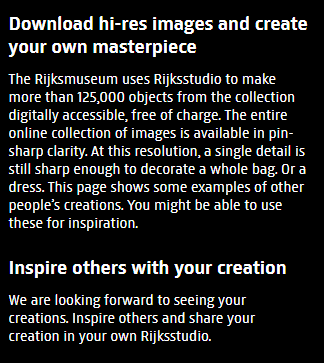 The museum holds contests to recognize some of the best uses of the works in the Rijks Studio. Here’s a video highlighting the ten finalists in 2017. Absolutely nothing to do with books, but, for PG at least, amusing. By the early 1970s, sadly little proof remained of Dashiell Hammett’s one-time employment as a Pinkerton operative beyond the word of his family. The background of his one-time service as an operative had set him apart from his hard-boiled peers, and given his stories their plausible aura of authenticity. (Pinkerton’s, for their part, would not confirm or deny his employment.) In New York literary society, and in Hollywood, Hammett had entertained with many stories about his old Pinkerton days, but after his death it became cynically fashionable with some to doubt he had even been a detective. When David Fechheimer arrived in San Francisco in the early Sixties, it was still “Hammett’s city,” he remembered. “Men wore hats, everybody drank.” But by 1965 the city was entering its countercultural bloom; Fechheimer was a “budding flower child” and poet on his way to a literature degree at San Francisco State when he encountered the books that got him off his academic track. It was not a one-night transformation from reading The Maltese Falcon, as would be repeated in later profiles. “We all lived hand-to-mouth then,” he said, and all were looking for work; after admiring the collection of Hammett’s other jobs listed on the backs of his novels he’d admired, Fechheimer called up Pinkerton’s San Francisco branch and began his own detecting career where the writer had finished his. While working out of the very same Pinkerton branch in San Francisco in the late 1960s, David Fechheimer became increasingly interested in the history of the man whom no one at the businesslike Flood Building seemed to remember. He learned all the skills of sleuthing, and, later under his longtime boss Hal Lipset, quite a few tricks unknown to Hammett, before eventually going into practice himself as a San Francisco private eye. Like Hammett, he began to learn the city around him right down to its bones. As an investigator, he noticed things: While waiting for the M car on the traffic island opposite the House of Lucky Wedding Rings, he met Albert Samuels sweeping the sidewalk, who had once employed Hammett to write jewelry ads. He got his hair cut by an old barber named Bill Sibilia, who remembered trimming Hammett’s graying pompadour and that he was a good tipper. Fechheimer also located a woman Hammett had written poems for in San Francisco; she talked to him in whispers outside her house, having never told her husband about her romance with Hammett or that he had said she inspired Brigid O’Shaughnessy in The Maltese Falcon. He next found and interviewed Mrs. Hammett, long presumed dead by scholars at the time, then, hoping to find any of his hero’s old colleagues, he used the same method that had drawn Hammett into the agency to begin with — placing a simple newspaper ad. Two old men answered his query: Jack Knight had been a well-traveled Pinkerton in the early twenties who never worked directly with Hammett but knew his reputation as one of the “fellows with particular ability.” The other, Phil Haultain, said he had learned to shadow from ‘Sam’ Hammett himself, and was his partner in the last months of Hammett’s career as an operative. Fechheimer went to meet Haultain in the office of his conveyor belt company in Emeryville, California in early September 1975. Their conversation remains the only eyewitness testimony about Hammett as a detective. The 1936 tongue-in-check send up entitled Satan Met a Lady, starring Warren William as Sam Spade (here called “Ted Shane”) and Bette Davis as Ruth, here called “Valerie Purvis.” Unlike the 1931 version, which was a box-office hit, Satan Met a Lady was so bad that Bette Davis spent a lifetime trying to get it expunged from her official filmography. 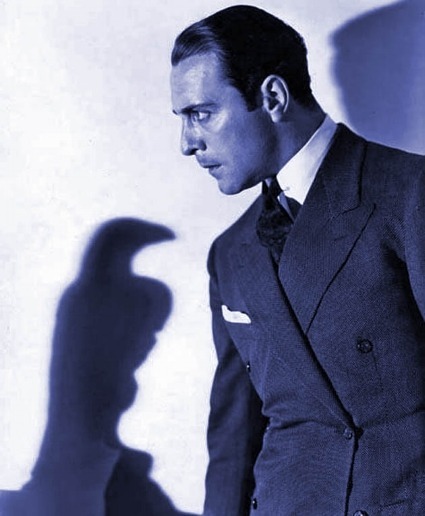 For PG, there can only be one Sam Spade. “A Loaf of Bread”, the Walrus Said, “Is What We Chiefly Need”, but Did He Remember Ip? Comments Off on “A Loaf of Bread”, the Walrus Said, “Is What We Chiefly Need”, but Did He Remember Ip? Given its ubiquity, “bread” is remarkably ill-defined. Simply put, bread is a baked food made of flour. According to Merriam-Webster, bread is “a usually baked and leavened food made of a mixture whose basic constituent is flour or meal” [Kat Question: What is the difference between bread and pastry?]. Bread may or may not contain yeast, may be risen or flat, and may be baked, steamed (e.g. bao), fried (e.g. injera, mchadi) or boiled (e.g. Knedlíky) . Bread can even come in a tin (Boston bread). The chemical processes involved in bread making are complex. Particularly, bread making methods are highly dependent on the choice of flour (e.g. wheat, rye, spelt, teff etc.) and leavening agent (e.g. sourdough culture or dried yeast). Typically, the process of making bread involves growing a yeast starter culture, adding the culture to a mixture of flour and water to make a dough, fermenting the dough for 4-12 hours, shaping the dough into a loaf, allowing the dough to rise and baking the loaf. The typical loaf of bread can take half a day to 3 days to produce, longer if you count fermentation of the yeast starter culture. Bread baking can also involve considerable manual labour, for example, in the kneading of the dough. Bread is also a staple source of carbohydrate in many cultures. Considerable bread-tech innovation has therefore been directed to reducing the time and effort required to bake bread. Where to begin if not with one of the most famous inventions of all time. In 1932, the USPTO granted the first patent directed to a bread slicing machine in the name of Frederick Rohwedder of Iowa. The patent (US 1,867,377) was directed to a bread slicing machine having a frame and a series of continuous cutting bands mounted thereon. In contrast to the prior art (e.g. knives), the machine facilitated the slicing of “an entire loaf of baked bread in a single operation”. The invention of the bread slicing machine apparently led to such an increase in bread consumption that there was a brief ban on sliced bread during the second world war, in order to conserve the steel used to make the slicing machines. Bread making often requires the step of “kneading” the dough. Kneading is defined as “to work and press into a mass with the hands”. Kneading stretches or activates the gluten in the dough. As any aspiring bread baker will tell you, kneading dough can be hard work. The process of bread baking is considerably sped up by the use of an electric kneading machine. The most well-known of these machines is the KitchenAid, for which KitchenAid were granted a US patent in 1935 (US 1988244). These machines, however, have their own problems. As the aspiring bread maker will also tell you, it is common for your bread dough to get twisted around the central kneading tool, or stuck on the sides of the bowl. If this happens, the dough may not be worked uniformally. Additionally, if your bread dough is too stiff, the kneading machine motor can overheat. Recently granted EP3187050 relates to a machine for “domestic use for the preparation of dough for bread”. The movement of the kneading arm is purported to ensure a maximum mixing and blending action of the entire mass of dough. Pending application EP3420821 claims a kneading machine that prevents the dough winding around the central tool. The labour of bread baking may still be too much for some. EP1670316 seeks to take all the effort out of home-baked bread. The claims (recently maintained in opposition) are directed to a disposable food packaging that can withstand temperatures of up to 300ºC, and includes the necessary ingredients for making the bread. As outlined in the description, use of the packaging has the great advantage that “baking does not include greasing of the baking-tin, dishwashing and cleaning of the table etc. after baking”. Unlike “bread”, “French bread” is a well (and legally) defined substance. Decree No. 93-1074 defines traditional French bread as having the characteristics of being 1) composed exclusively of wheat, water and salt, 2) fermented with baker’s yeast (Saccharomyces cerevisiae) and sourdough, and containing no or only very small amounts of bean, soy or wheat malt flour. The Board of Appeal found in T 1393/10 that tinkering with the ingredients of French bread can be non-obvious. The case concerned the inventiveness of a patent directed to a process for making French sourdough bread with improved flavour. Claim 1 was directed to a method for making bread dough comprising the addition of a specified range of dry leaven (e.g. yeast) to the dough. The selected range was found to be obvious in view of the prior art. However, an auxiliary request including the step of adding bran to the bread (contrary to the legal requirements for French bread) was found non-obvious. The Board reasoned that a skilled person would be afraid to add the high amounts of bran specified in the claim to French-style bread, as they would worry that the bran would compromise the taste. You might categorize this under writing prompts. According to a recent medical survey by Kantar Media, 2 out of 5 physicians participate in telemedicine or plan to within the next year. Meanwhile, half of consumers think they would feel less comfortable during a telehealth visit versus receiving an in-person diagnosis.